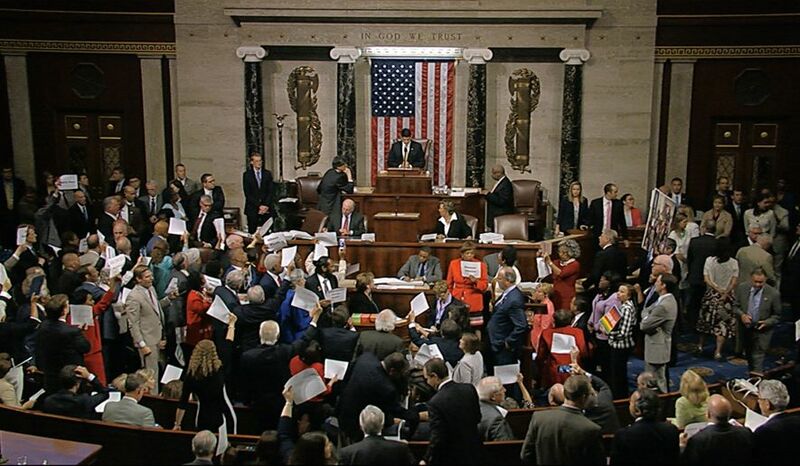 Congressional Democrats scheduled a a day long sit-in. This is being done to push getting a vote started on two different pieces of gun control legislation. You have most likely heard about that. So what do these 26 Dems have in common? They are ALL gun owners. Good stuff, right? The two pieces of legislation they are hoping to get pushed to vote are for more comprehensive background checks and for restricting gun sales to terror suspects. So what about the 12 other Dems, do they have guns? Well, who knows, they didn’t answer!